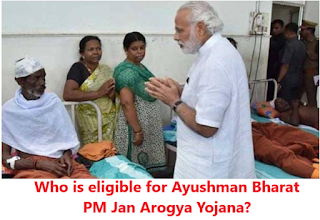 Home / About Ayushman Bharat Yojana / About National Health Protection Features of Ayushman Bharat / Eligibility Criteria / PMJAY / Pradhan Mantri Jan Arogya Yojana / Who is eligible for Ayushman Bharat PM Jan Arogya Yojana? Who is Apply for Ayushman Bharat PM Jan Arogya Yojana (PMJAY)? On the Independence Day speech of 2018, The Prime Minister Shri Narendra Modi has announced the launch of the Ayushman Bharat-National Health Protection Scheme (AB-NHPS). 2nd name of this scheme is Ayushman Bharat PM Jan Arogya Yojana (PMJAY). The scheme will become operational on the Pandit Deendayal Upadhyay's birth anniversary. 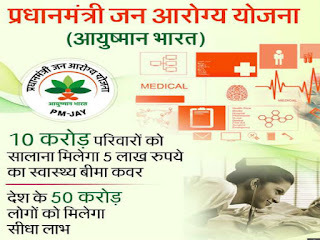 Ayushman Bharat PM Jan Arogya Yojana (PMJAY) scheme will cover 10 crore poor and vulnerable families providing cashless treatment up to Rs 5 lakh per family per year without any premium or insurance for secondary and tertiary care hospitalization. In this scheme more then 50 crore people insured without private insurance policies. 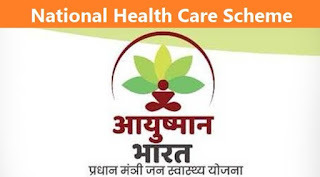 Know About who can apply or take advantage for health insurance of Ayushman Bharat PM Jan Arogya Yojana (PMJAY) or National Health Protection Scheme or Modicare. Who is Eligible For the AB-NHPS? For define eligibility criteria Ayushman Bharat PM Jan Arogya Yojana (PMJAY) insurance scheme uses the deprivation conditions in SECC (Socio Economic & Caste Census). In rural areas, households should belong to anyone of the six deprivation criteria. Some categories automatically include for households in rural areas. In urban areas, the households must belong to one of the eleven (11) occupational categories. PMJAY is targeted at poor, deprived families in rural area and identified occupational category of urban area. Every person who are enrolled they all listed in the Socio Economic Caste Census (SECC) database automatically.